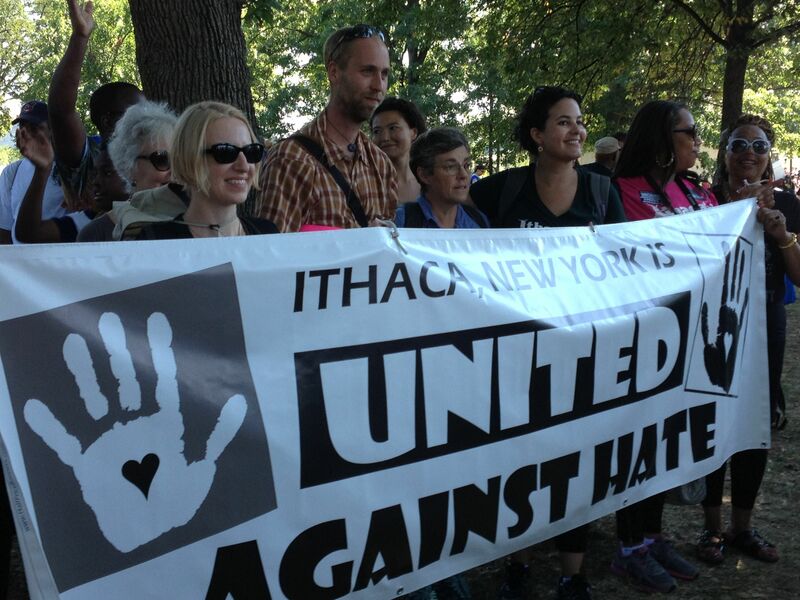 On Saturday, August 24, two big bus-loads of people traveled from Ithaca to the 50th Anniversary Realize the Dream march and rally in Washington, DC. We were among the thousands and thousands of positive, truly kind and powerful people there, and it renews our faith in who the American people really are to connect with so many kindred spirits speaking out for Jobs, Freedom and Justice and the civil and human rights of all people. This entry was posted in Community Based Initiatives, Equity, Race and Racism, Social Justice. Bookmark the permalink.